One of the most successful means of alcohol detox comes in the form of specialized alcohol detox medications to help ease the process. The following article will answer questions like ‘how long does alcohol detox take?’ as well as take an in-depth look at the various alcohol detox drugs available and how they work. What are alcohol detox medications? How do ethanol detoxing drugs work? Which alcohol detoxification medications were approved by the FDA? Are there any other medications used for detox from alcohol? Is it safe to use such supplements without a prescription? Trying to stop drinking is an incredibly difficult task and one that requires as much help and support as possible. 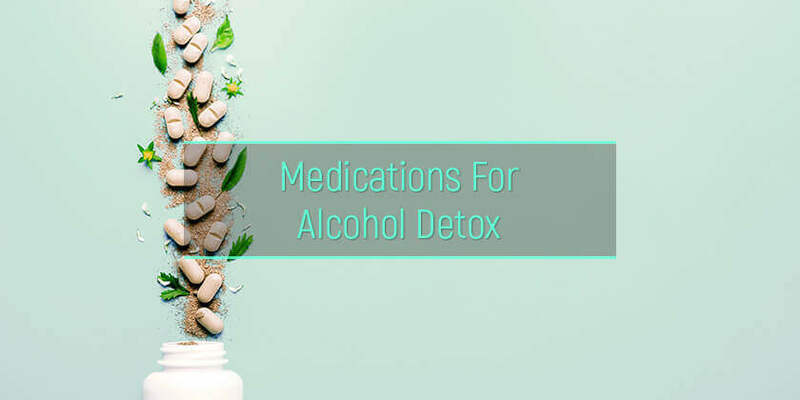 Due to the fact that there are a number of risks involved in some cases such as withdrawal and the associated symptoms such as seizures, it is necessary to use alcohol detox medication. But what are they, these meds for alcohol detox? Put simply, alcohol detox meds are a range of different drugs which are prescribed to patients in order to help them detox from heavy drinking. Alcohol detox supplements come in various types and are believed to work better in combination with the services of alcohol detox facilities but have also proved successful on their own. Designed to allow patients to better deal with the negative effects of the withdrawal process, medication for detox is amongst the more successful types of alcohol treatment options. The way that medication for alcohol detox works is different depending on the type of medication prescribed in each case. In the majority of cases, drugs used for alcohol detox are used in order to reduce the effects of withdrawal and in doing so allow the patient a better chance of recovery. Detox meds can also help maintain the balance of a patient’s body chemistry. When looking for the right medicine for alcohol detox, it is important that any side-effects or other possible risks are minimized. One of the most sure-fire ways of doing this is by choosing medications for alcohol detox that are on the list of FDA approved medicines. The list of medications approved by the FDA contains just three alcohol detox pills, each with the different mechanism of action. Here are the three medications that currently have FDA approval. The first of the three FDA approved meds is Disulfiram which was introduced for use in cases of liquor abuse disorder back in the early 1950s. The way that Disulfiram works is that it is able to alter the way in which drink is broken down and processed by the patient’s body. The result of consuming alcohol while taking Disulfiram is the patient becomes ill and in time will drink less due to this. This type of detox medication can be taken at times when there is a greater risk of relapse for the patient. The second medication on the FDA’s approved list is Naltrexone which is a similar deterrent but works in a different way. When a patient drinks while on a course of Naltrexone, they will feel the effects of being drunk but there will be one feeling that is missing, and that is the sensation of euphoria usually felt when drinking. It is believed that this euphoric feeling is in fact what keeps a patient drinking and so when removed there is a better chance for detox. This type of alcohol detox med is used to break the link between having a drink and pleasure for the patient. Instead of being used as a means of helping the patient to stop drinking, Acamprosate is used once the detox process is underway to ease the various associated effects of withdrawal. The symptoms attached to detoxification can include depression, anxiousness and an inability to sleep. All of these effects can be long lasting if left unchecked. By interacting with the glutamate and the GABA (gamma-aminobutyric acid) which are the brain’s two chemical messenger systems, Acamprosate is able to allow them to correctly do their jobs of stimulating nerve cells and controlling fear and anxiety. 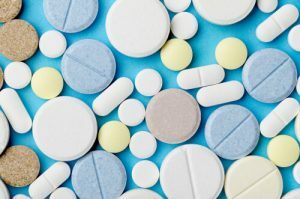 Although the FDA list of approved medications is a great place to start, they are not the only medications that are used in cases of withdrawal. When asked ‘do detox drinks work for alcohol?’ many specialists would simply point the patient to this list of other medications used for detoxification. Ativan (Lorazepam) – Ativan is a form of Benzodiazepines or (benzos). Benzos have shown great success when used to treat the symptoms of withdrawal in patients. The primary effect of this drug is to have a calming effect on the central nervous system. When using Ativan for alcohol detox, it has also been successful when used to treat other symptoms such as muscle spasms and insomnia. Librium (Chlordiazepoxide) ­– Another Benzo used in the drink treatment process is Librium. Librium alcohol detox medication is also prescribed to treat associated symptoms of withdrawal such as anxiety. The calming effect is similar to patients who use Valium for alcohol detox. Xanax (Alprazolam) – The fact that it is a short-acting Benzodiazepine makes for great results when using Xanax for the recovery process. Usually prescribed for those with more severe anxiety as a result of withdrawal Xanax is amongst the more common supplements for alcohol detox. Gabapentin – This medication unlike the others on this list is not benzo and is more commonly found prescribed as an anti-seizure medication. The ability that it has to ease central neuropathic pain means patients have also seen success when prescribed gabapentin for alcohol detox. Thiamine – Although Thiamine is found in food and is otherwise known as vitamin B1, it is also sold as one of the best natural remedies for alcohol detox. Thiamine one of the few non-drug based natural alcohol detox supplements available. Many people have seen success when using Thiamine for alcohol detox. For those struggling with drink abuse of any kind, these are only several of the routes that they might choose to consider to detox from alcohol. As with most types of addiction treatment, there are some warnings and dangers to consider when deciding which route to choose. Remember – It is not advised to use any of the medications mentioned above without having a prescription from a doctor. Be sure to take into account the risks associated with self-medication as well as the fact that incorrect use of any medication can negatively affect the recovery process. Hopefully, this article will answer any question a patient looking for help with their alcoholism might have. Be sure to consult a doctor or find out more from a local alcoholism recovery facility.